Feeling awful when you are grieving is perfectly normal. Since every relationship is unique, how a person grieves is unique to that relationship. If feeling awful is your thing, then you are right on track. Other normal reactions can include everything from feeling numb to wanting to eat everything in sight to not wanting to eat at all. I remember when my best friend died I felt like I was in a fog for days. I sat at work (I am still not sure how I got there) and just stared at the computer. I couldn’t sleep without thinking about her. I couldn’t hear a song on the radio without crying. Even worse because she died by suicide, most people avoided me or wouldn’t talk to me at all. This resulting in me putting up walls and isolating myself even more. Eventually I just plastered on my “happy face” and told everyone I was “fine”. Now that I am a Certified Grief Recovery Specialist®, I realize my feelings were no different than what most grievers experience. Historically society has told us how we should or shouldn’t be feeling after any loss. It got passed down from generation to generation. As a result, well-meaning friends and relatives say things like “They are in a better place” or “Eat some more ice cream and you’ll feel better” after a death of someone close to you. Maybe some of you have even heard after the break-up of a relationship “We never liked them anyway” or “It’s ok, it just wasn’t meant to be”. The problem is we are taught to intellectualize grief when really it is really a matter of the heart. Since most people aren’t given the necessary “heart tools” – especially when it comes to loss – they do the best they can by giving us feedback they think our heads will understand. In addition to our hearts needing tender-loving-care while we are grieving, so do our bodies. A body needs energy to be healthy. Grief is an energy-depleting emotion. If you aren’t replacing and/or balancing its energy you feel awful. For example, after the death of my former finance, my heart physically ached inside my body. It felt like it was going to explode out of my chest. It felt like I was having a heart attack. Maybe in some way – figuratively not literally – I was. My stomach felt like I had swallowed a block of concrete. I had zip, nada, no energy. Since we have been conditioned not to express our feelings, we bottle them all up inside. We walk around like robots. We hold back the tears. We hide from friends and family. Eventually our bodies can’t take it anymore. We explode inside like metal in a microwave. As a result, it’s not unusual to get sick by not dealing with grief. This outcome is so much worse than just feeling what you were feeling from the beginning. 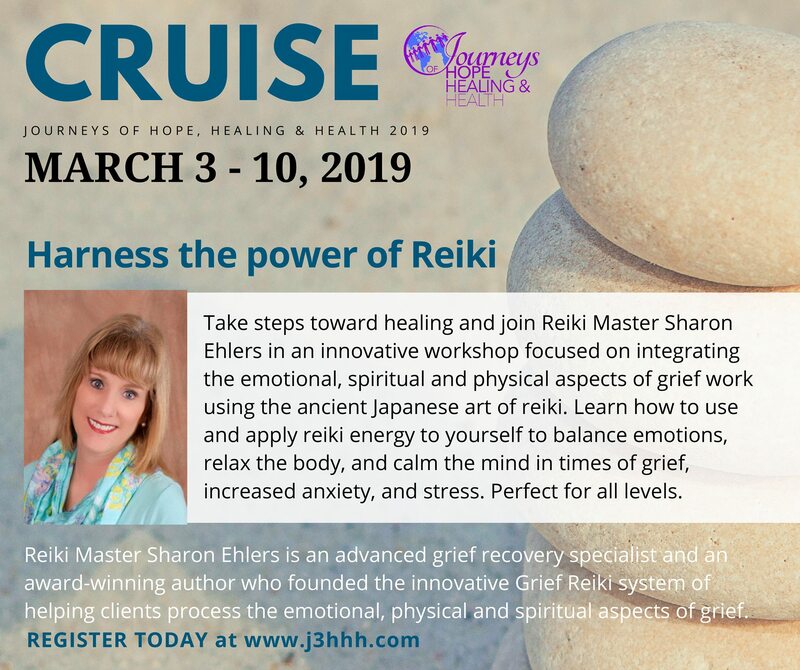 One suggestion for preventing your grief manifesting in a physical way is to find practices that help you balance the energy in your body – Reiki, Yoga, Tai Chi or Qigong. After the deaths of both of my friends, I found that Reiki really helped me. It kept me more peaceful and relaxed. Much better for my well-being than eating gallons of ice cream or exploding in a meeting. The bottom line is to understand and express what you are feeling both emotionally and physically. It is normal and natural and most importantly – it is just right for you. Be sad. Be numb. Be tired. Communicate how you feel – even if you do feel awful. You heart and your body will thank you. Grief is one instance where knowing you are feeling awful is actually a good thing. 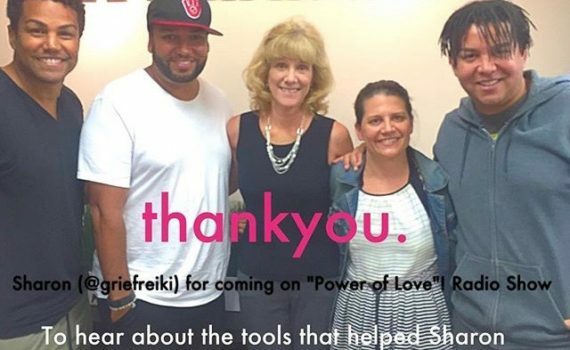 For a second time, I was very honored and privileged to have been invited by the Dee Dee Jackson Foundation (DDJF) to appear on their Power of Love Radio Show to talk about grief and loss. 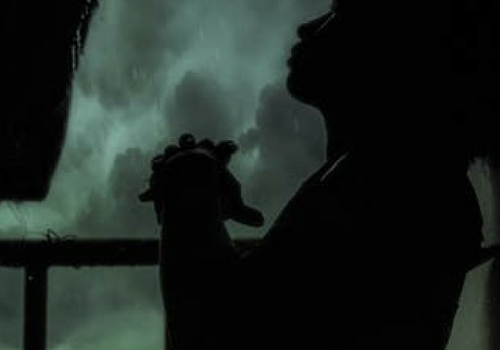 The Power of Love Radio Show, broadcast on LA Talk Radio, shines a light on loss and grief and how it impacts our lives. It provides hope, resources and a community so no one feels alone in their grief. Listen to the 9/7/16 broadcast archive here. 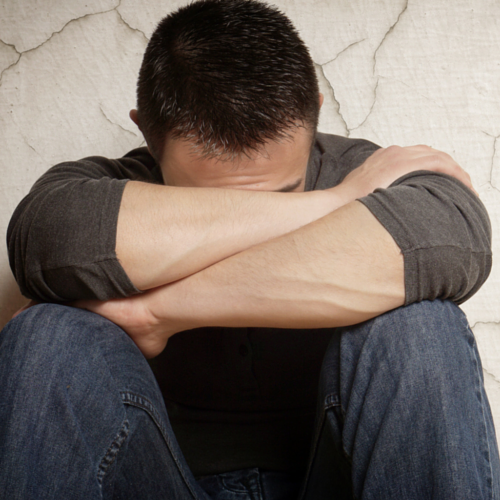 The Grief Recovery Method® is an action program to move beyond death, divorce and other losses. It was founded almost 30 years ago by John James and Russell Friedman. 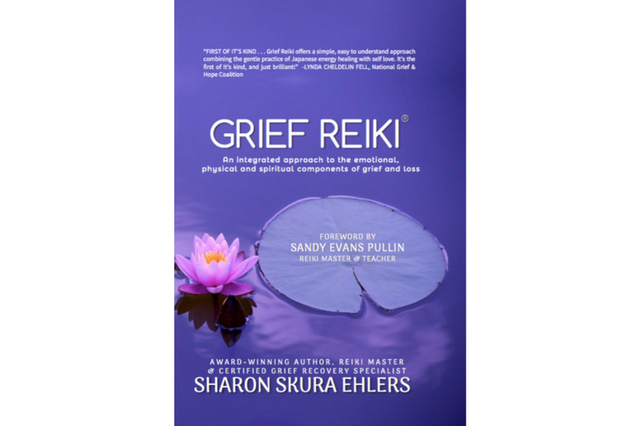 Grief Reiki, LLC leverages material developed by The Grief Institute®, which provides training coast-to-coast, border-to-border in the United States and Canada with affiliates in Australia, Mexico, Sweden, and the United Kingdom. “I can’t imagine how heartbreaking this must be for you.” – Grief is about a broken heart. How do you even begin to understand how that feels for your friend? This statement indicates that you respect how sad and difficult their grief must be for them. “I really don’t know what to say.” – Words can’t even describe the feelings associated with grief. Saying you “don’t know what to say” is one of the most honest answers you can give. This way your friend knows you are not trying to judge, analyze or fix them. “I am so sorry for your loss.” – Sorry in this sense means to be sad or mournful. It reminds your friend that you are also sad for their loss. It’s another way of answering them honestly. “Can I give you a hug?” – Virginia Satir, a respected family therapist, said “We need four hugs a day for survival. We need eight hugs a day for maintenance. We need twelve hugs a day for growth.” Hugs reduce the amount of stress in our bodies. Grieving is one of the most stressful events in our lives. Offering a hug (or two) to your friend will be good for their emotional, physical and spiritual health. 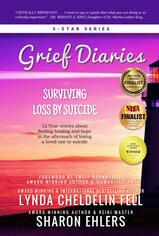 The producer of the Power of Love Radio Show, Henri Hebert, talked about her own grief journey. She is currently going through the 7-week one-on-one Grief Recovery Method® educational program. She spoke about some of the things she had already learned in just two weeks of attending the class. Things she now realizes had affected her over the last five years like moving, changing jobs, going through a romantic break-up and losing her best friend to brain cancer. Henri will be sharing more of her journey on future radio shows. Losing your pet is painful. Grief is normal and natural, but society has taught you that it is not acceptable to feel sad. Most people consider their pet a part of the family, so losing your pet can be traumatic. Because we live in a “feel good” society, we are raised with misinformation about how to recover from pet loss. If you’ve tried to feel better, but still feel heartbroken and alone, there is nothing wrong with you. It’s simply a matter of using the wrong tools. 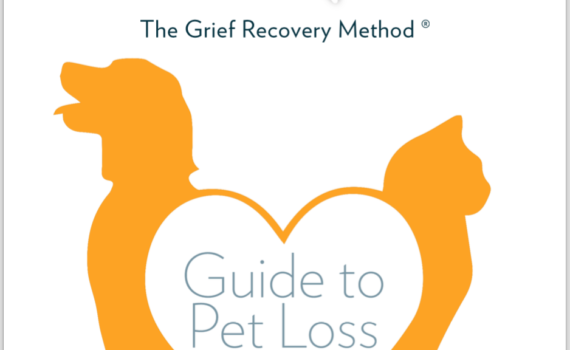 This eBook gives you the right tools to start on the path to recovery from the devastating loss of your pet. Why am I having such a hard time? Common responses to losing your pet. How to know if you are grieving the loss of your pet. Grieving the loss of your pet is normal. There are no stages of grief. Misinformation you were taught about grief. Moving pet loss from the head to the heart. Helpful ways to express your grief. When can I get a new pet?